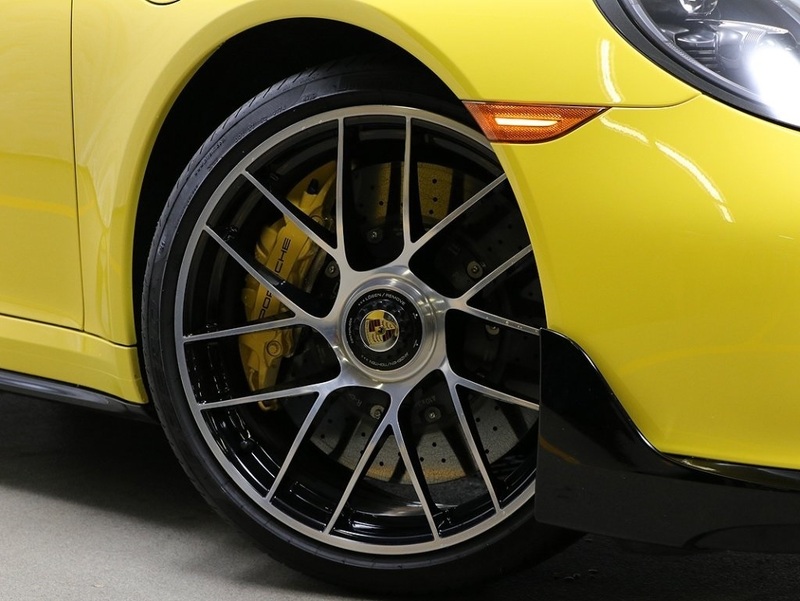 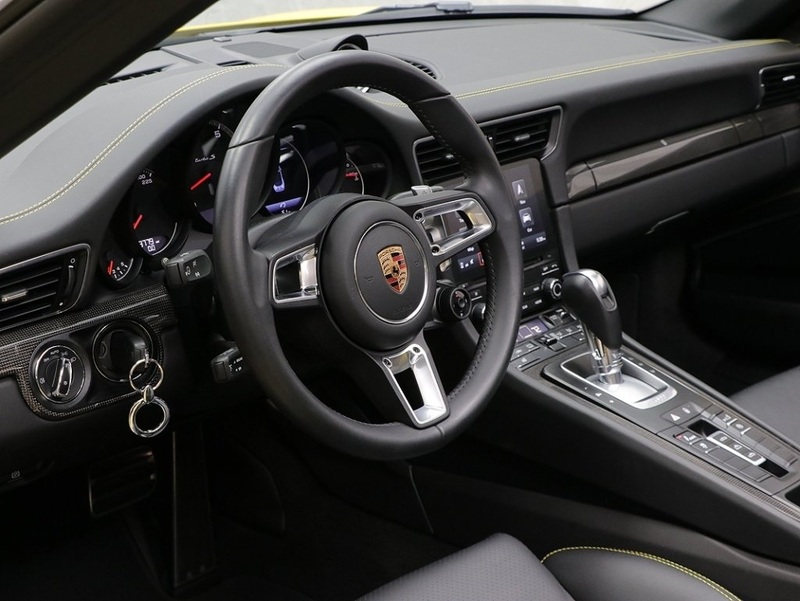 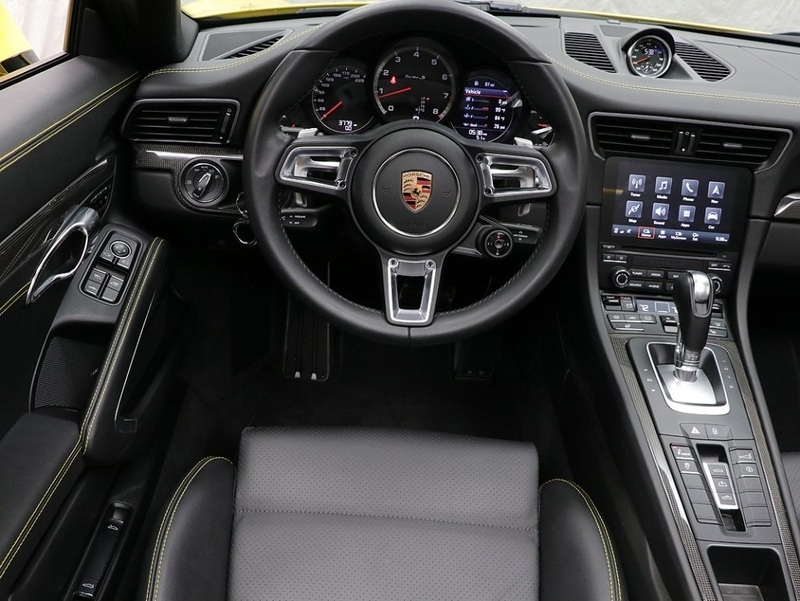 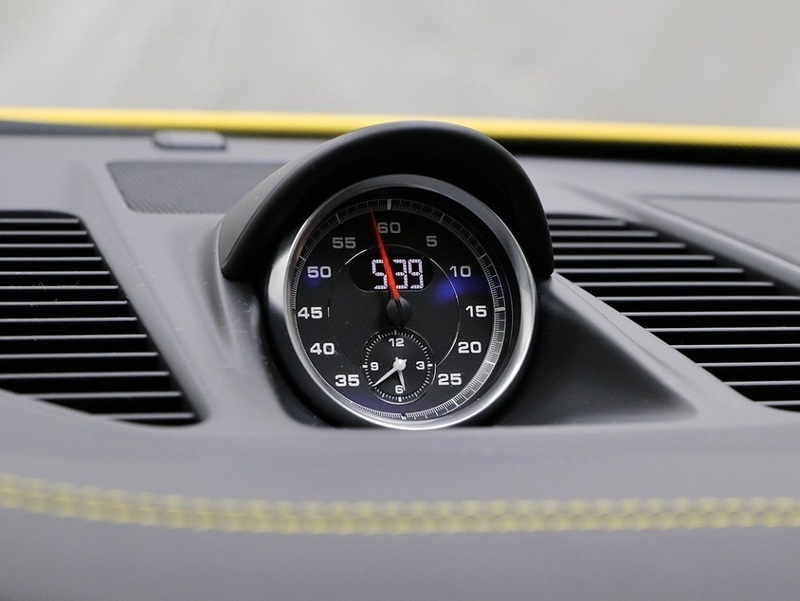 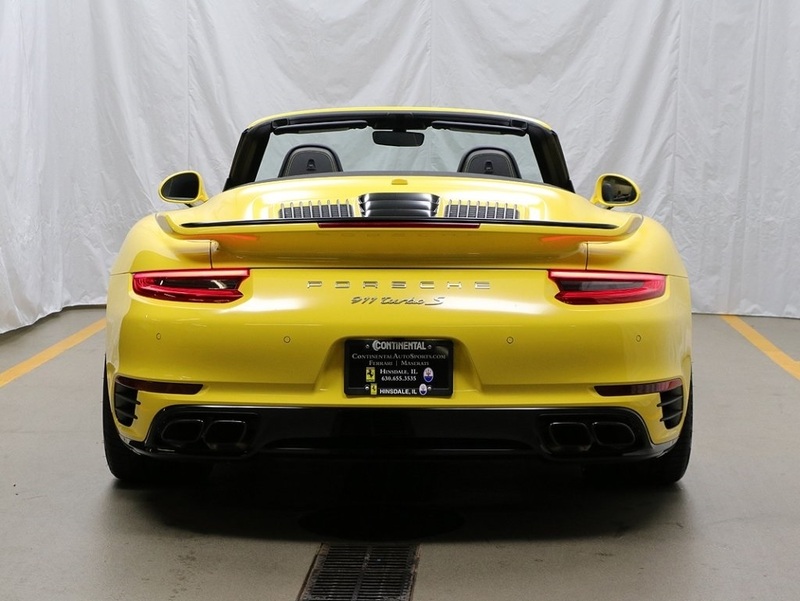 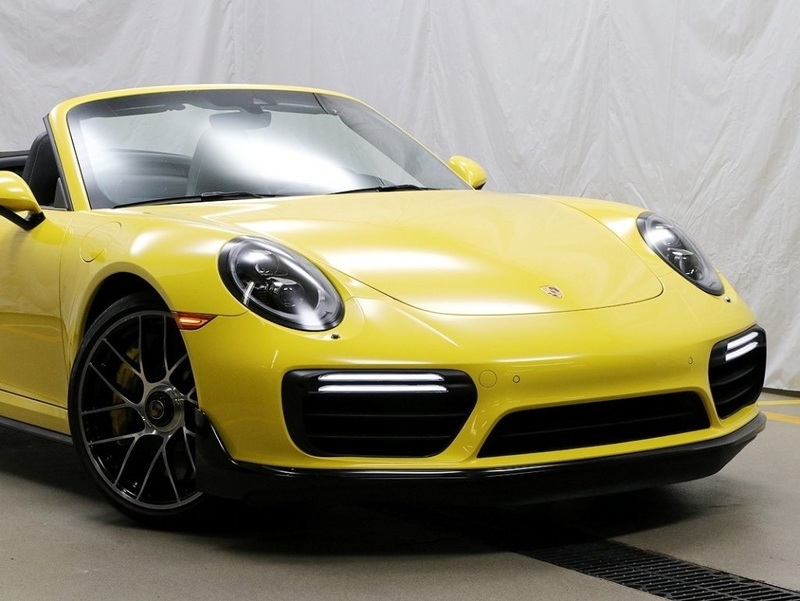 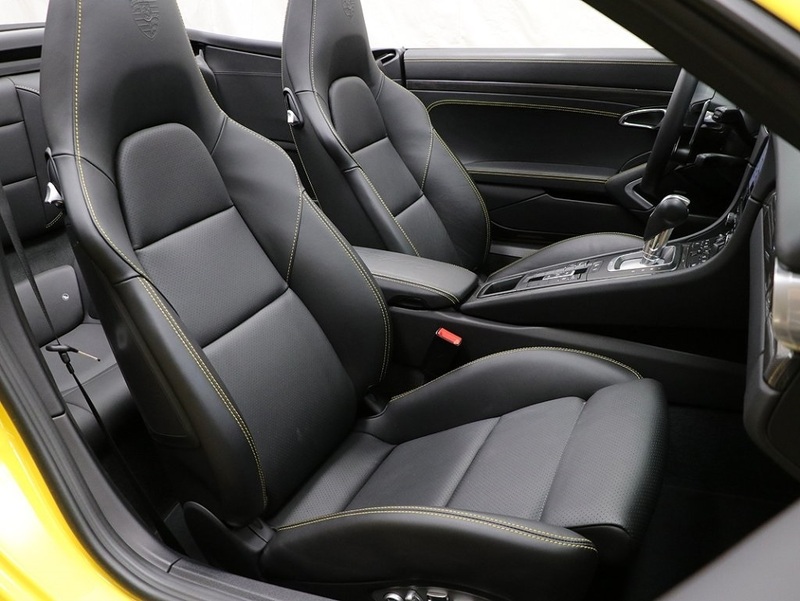 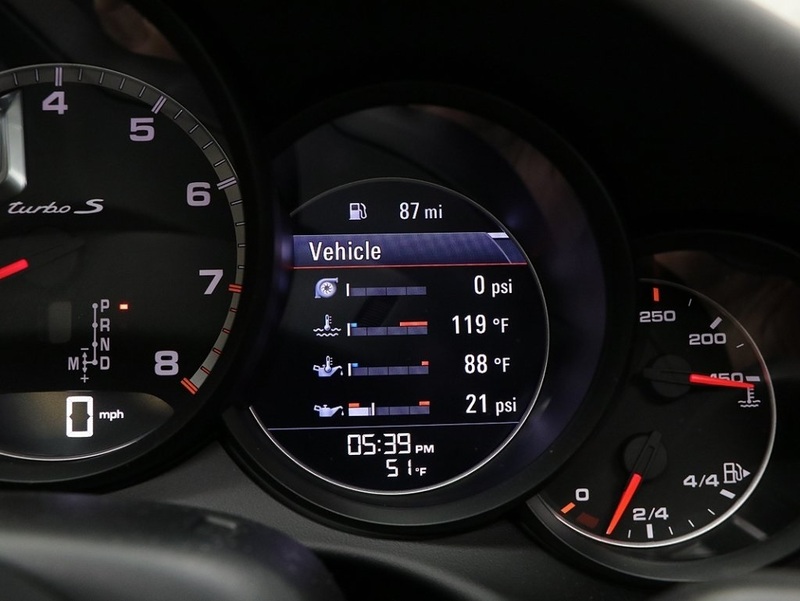 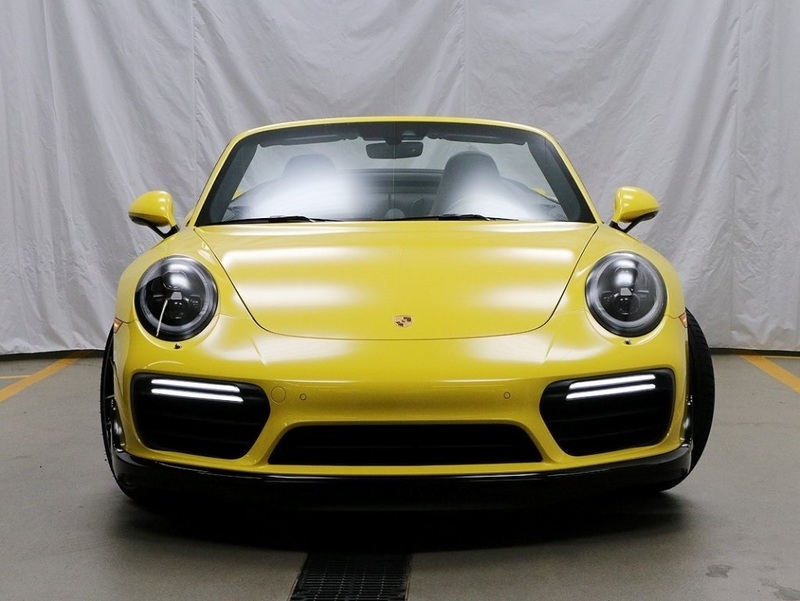 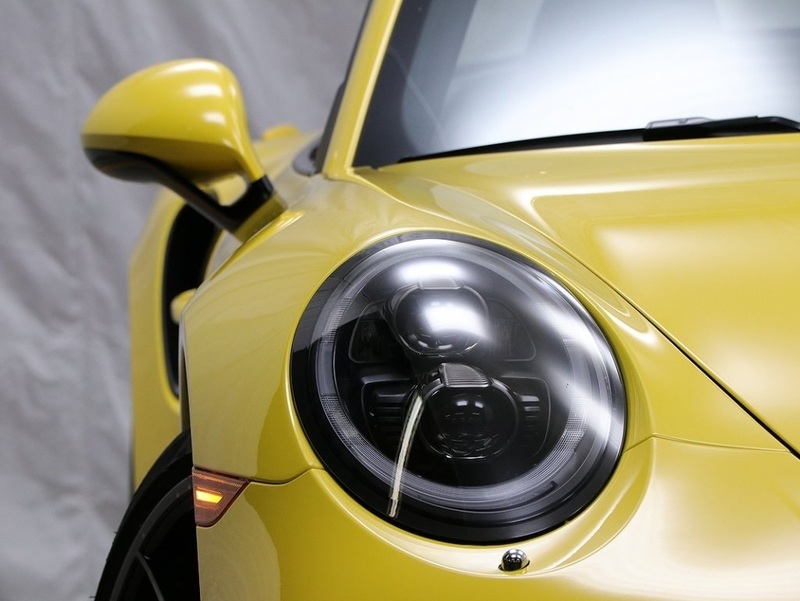 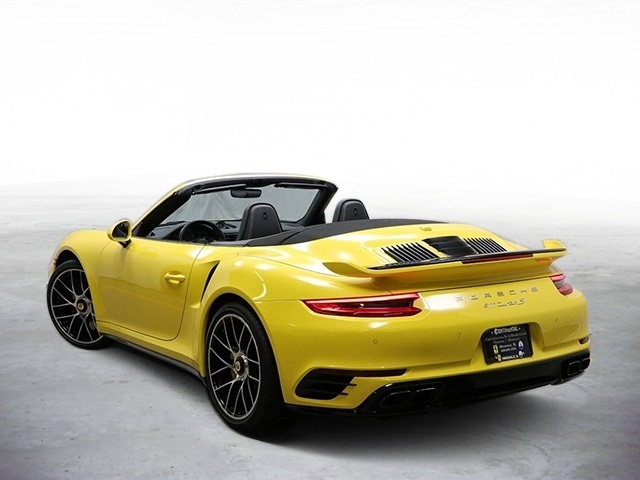 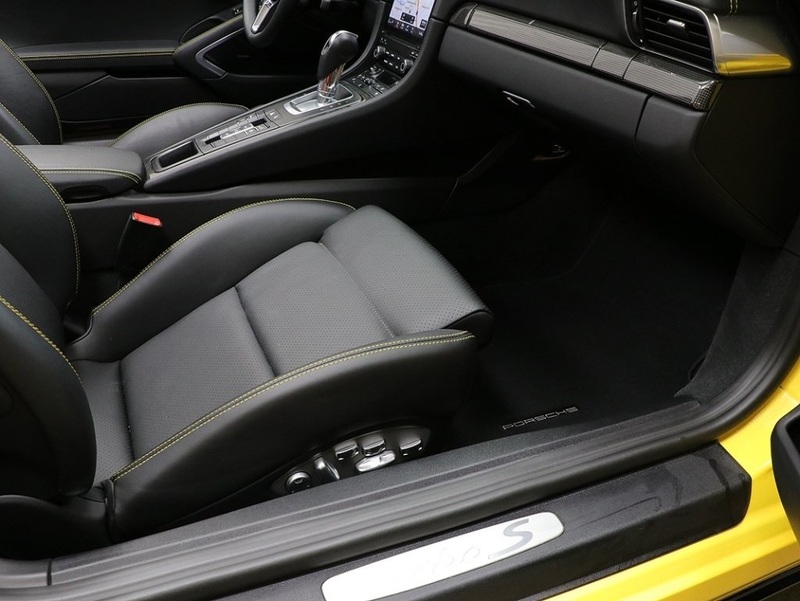 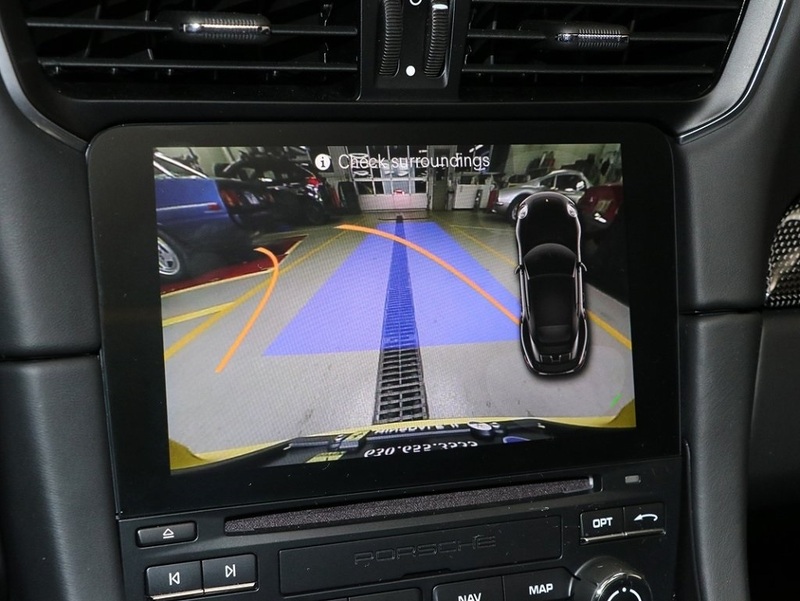 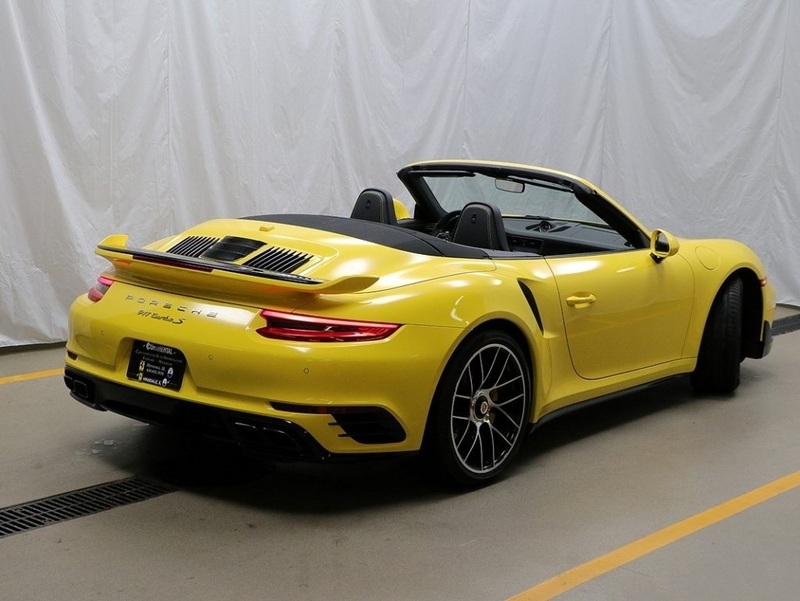 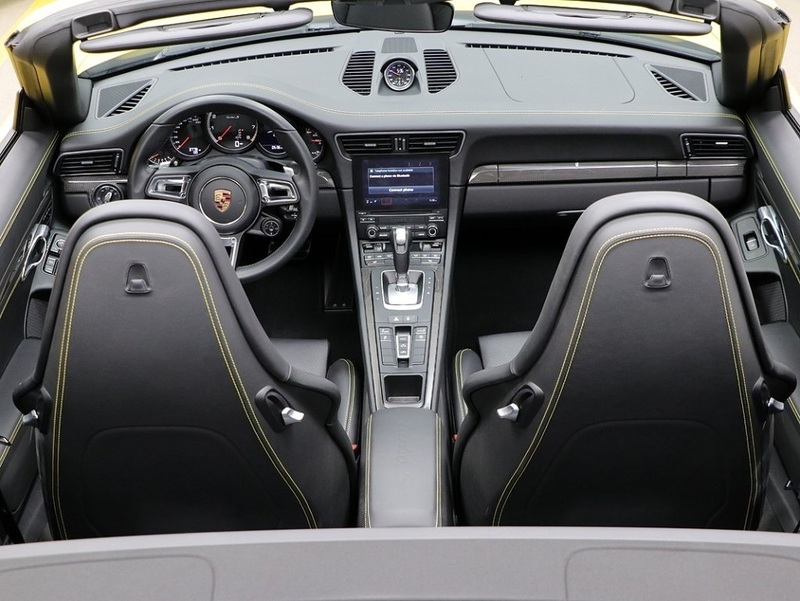 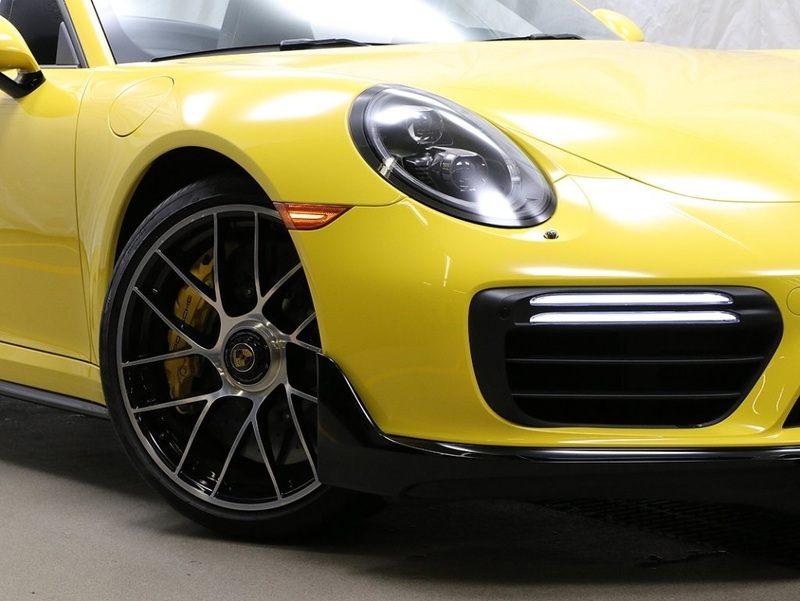 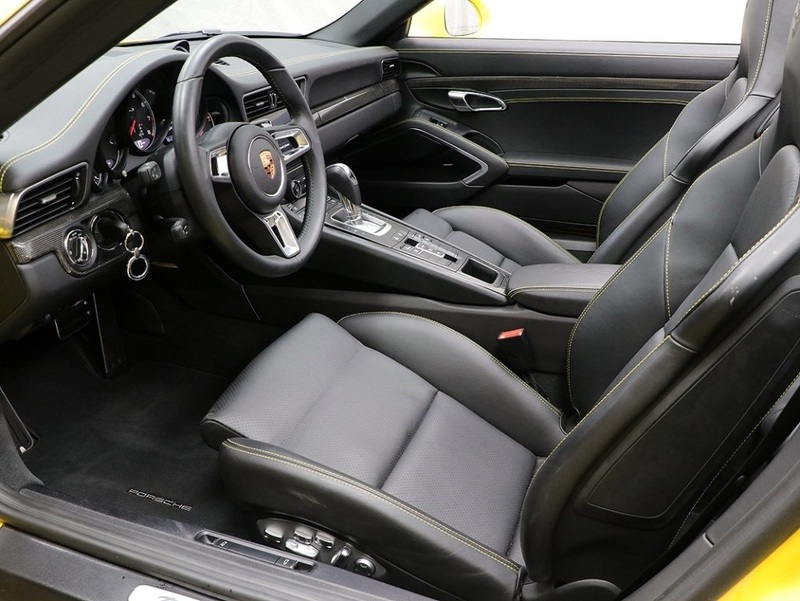 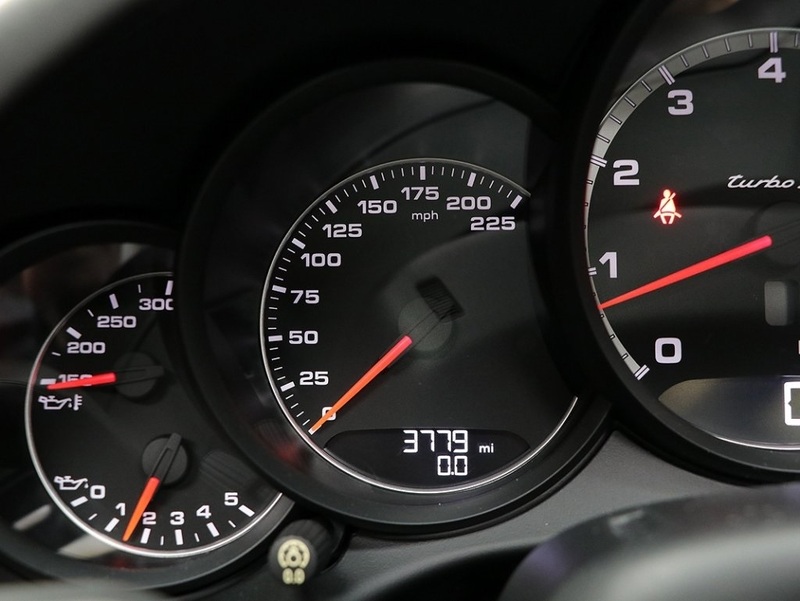 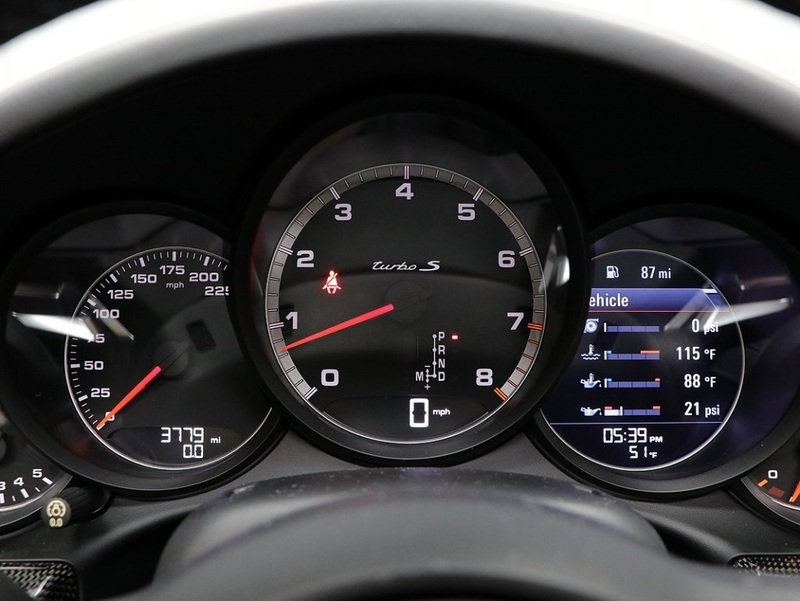 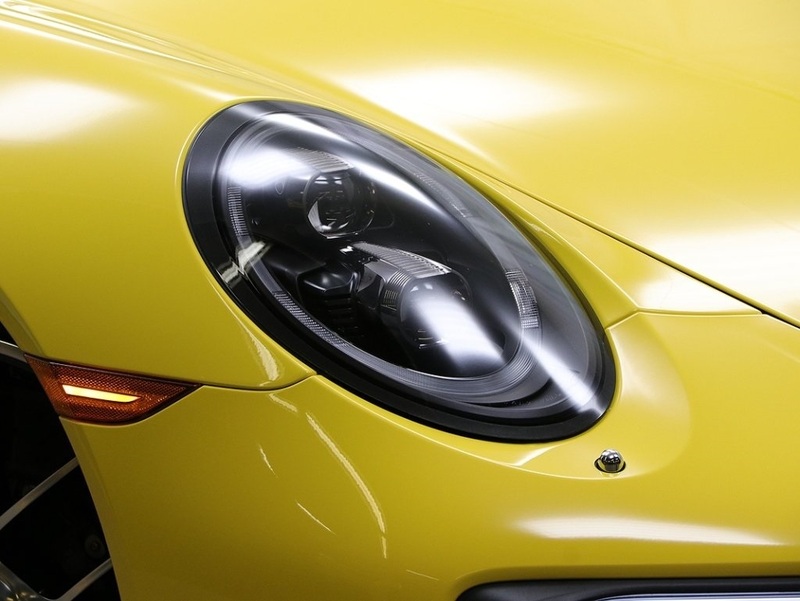 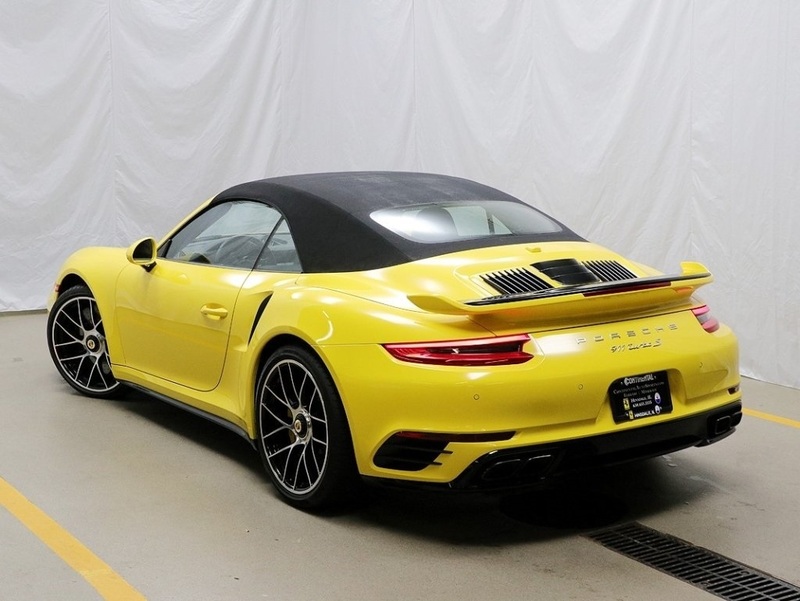 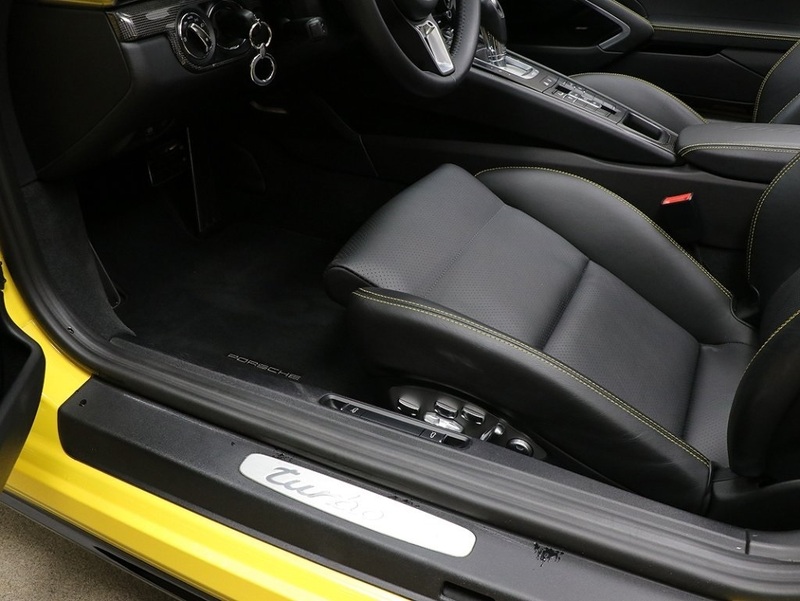 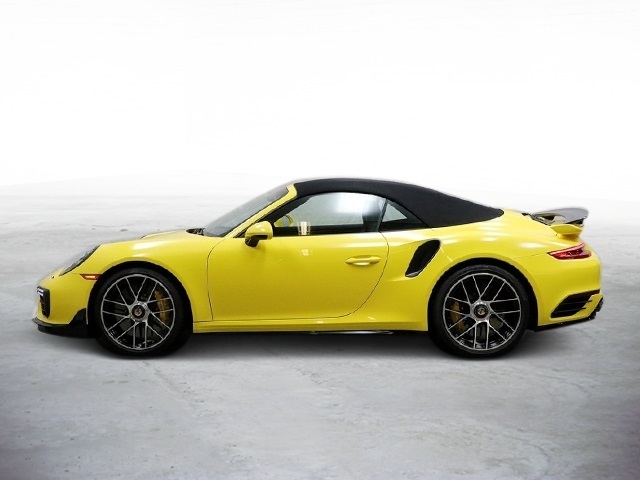 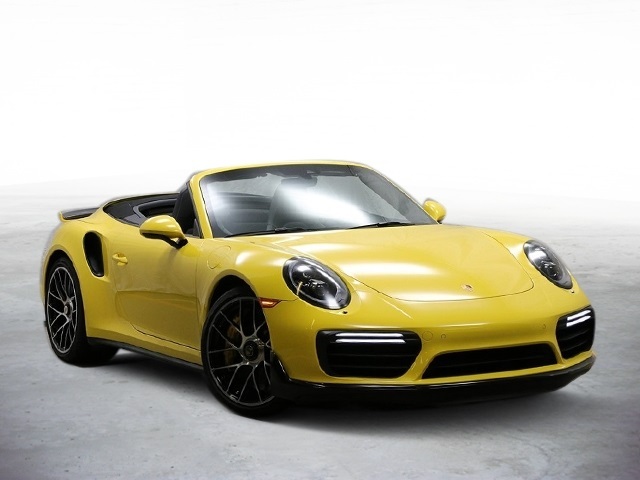 60 mph can now arrive in a face-peeling 2.6 seconds with this One owner 2017 Porsche 911 Turbo S Cabriolet in racing yellow with black leather interior and low miles. 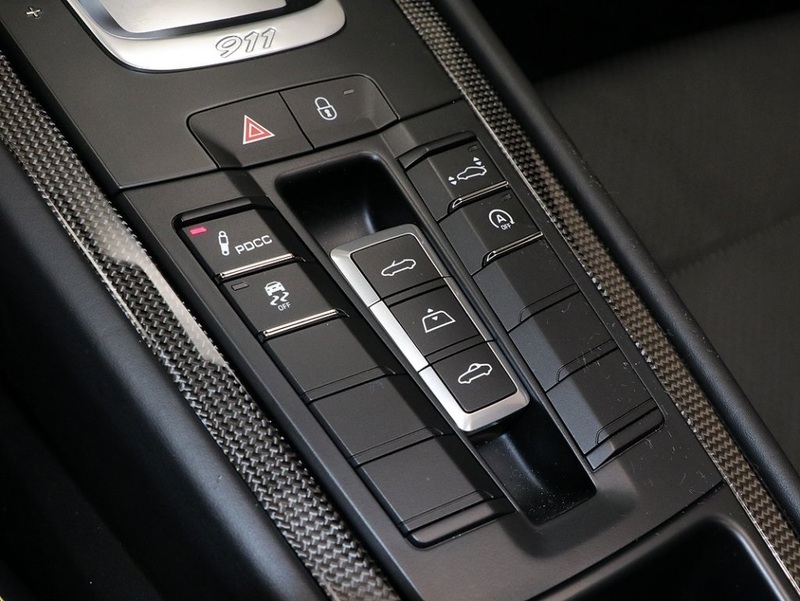 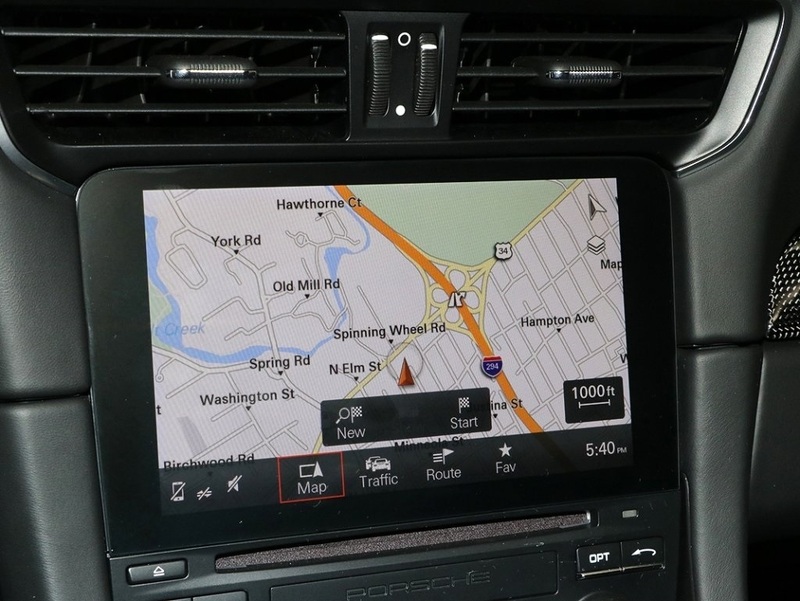 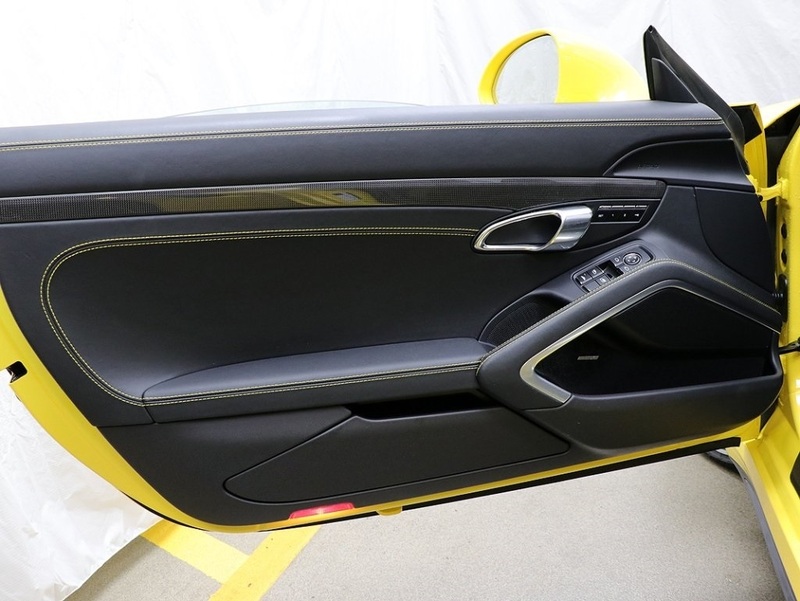 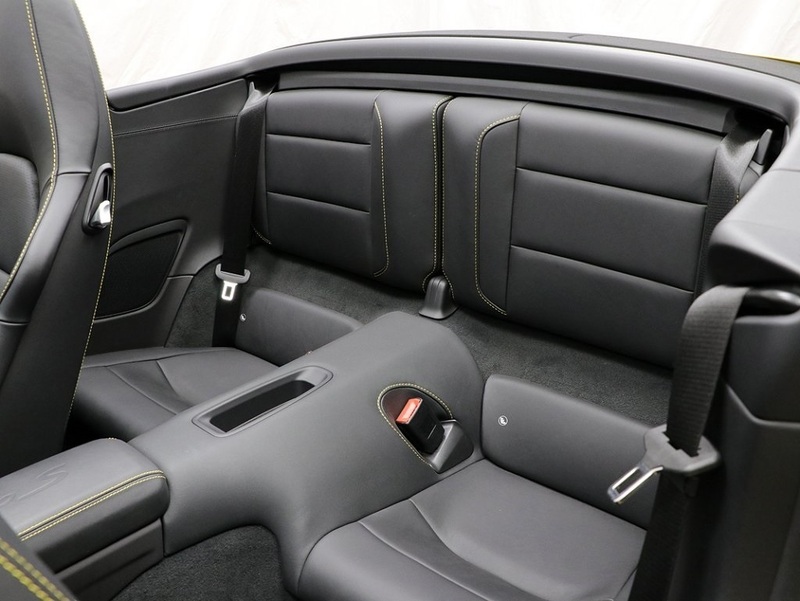 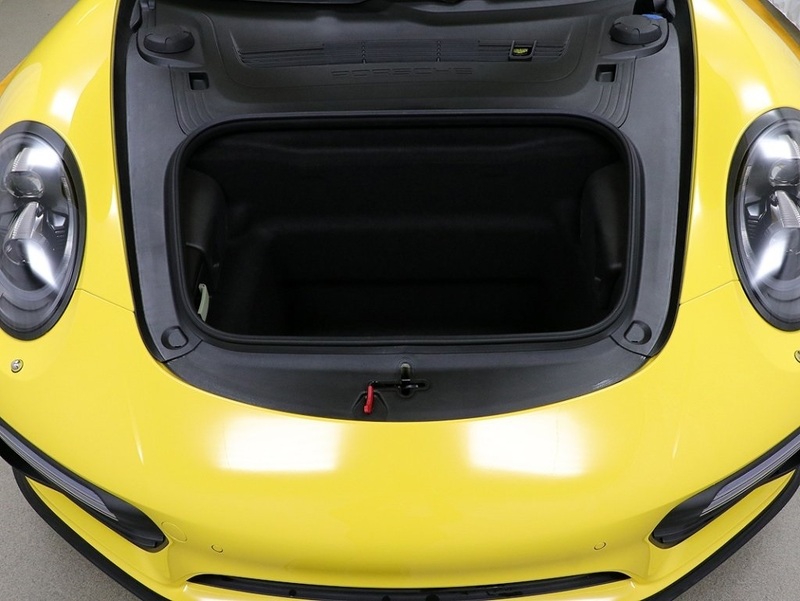 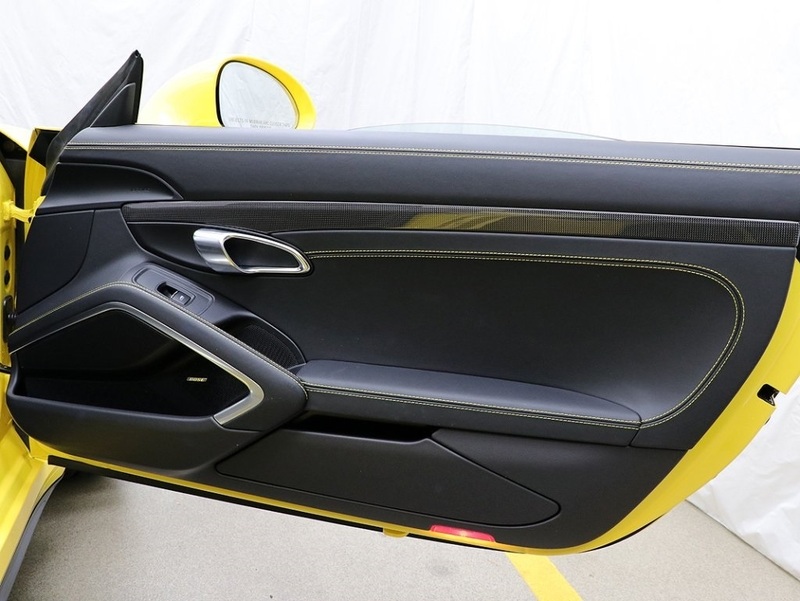 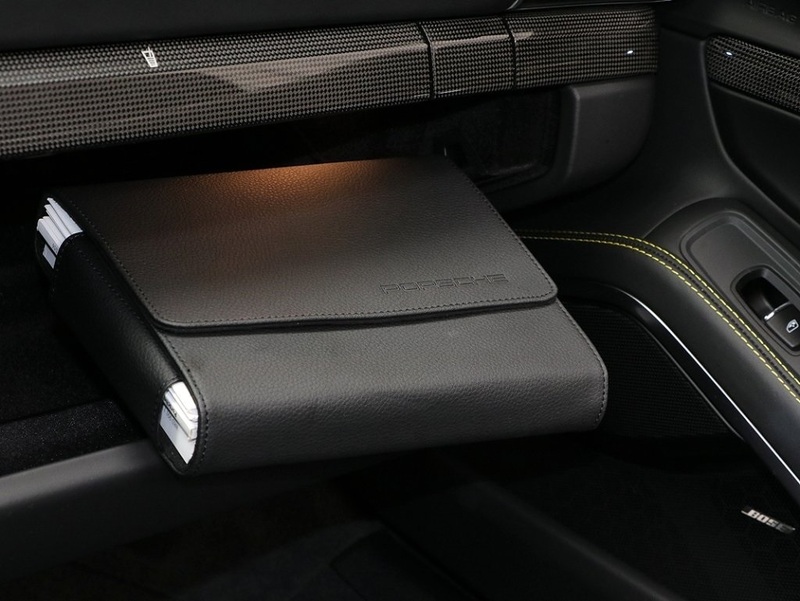 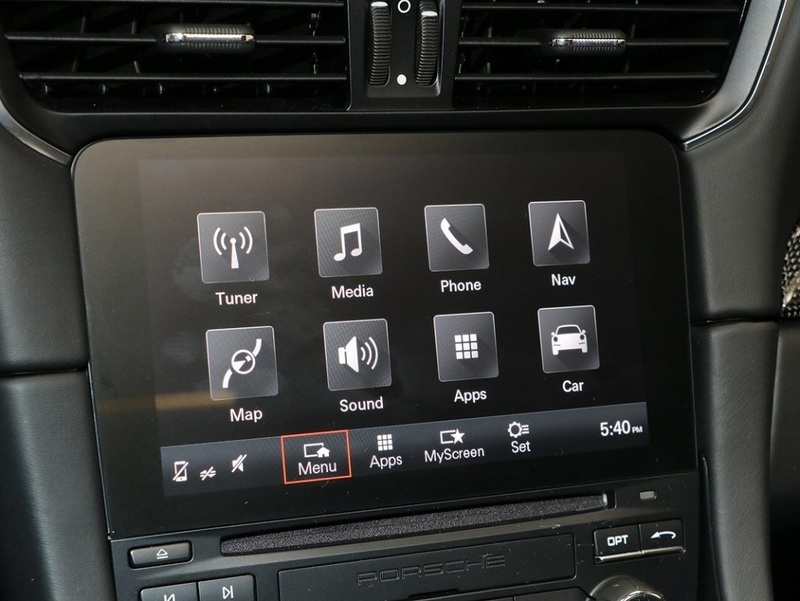 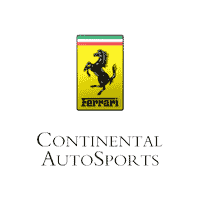 Optional equipment includes front and rear deviated thread seat stitching, deviated dash, upper door panel, center console lid, center door panel, door handle and armrest stitching. 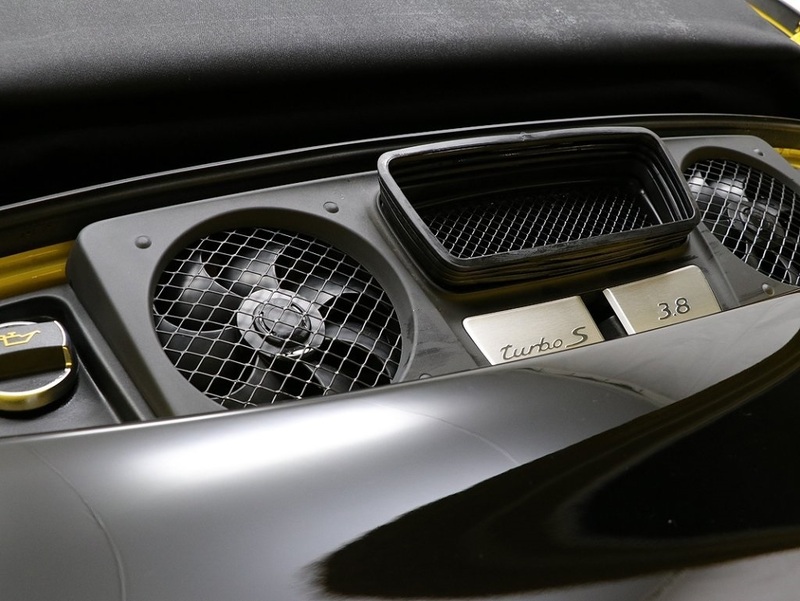 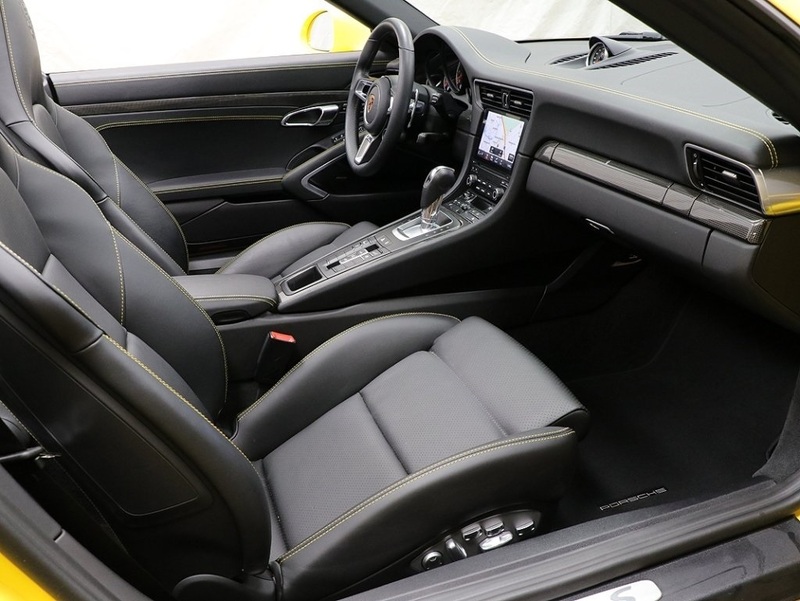 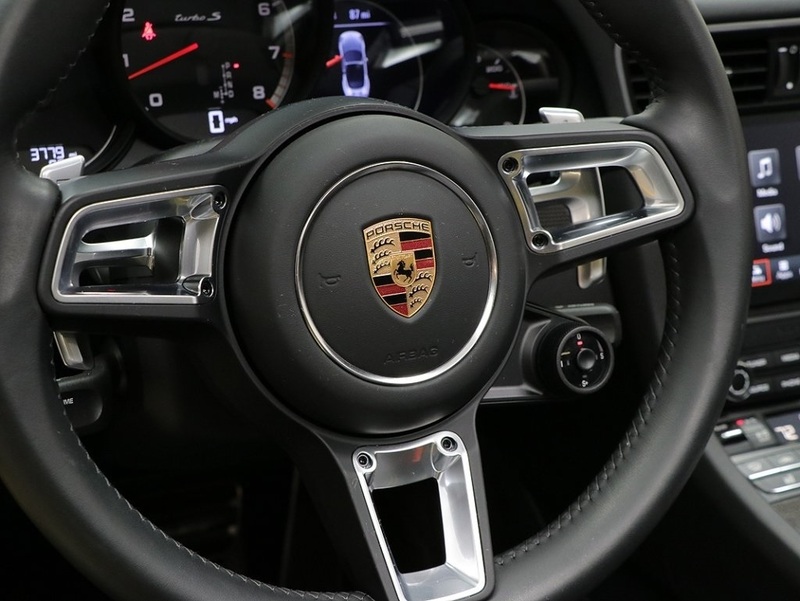 Also included Sport Seats Plus backrest shell with stitching in deviated thread, Aerokit turbo painted in high gloss black, Sportdesign exterior mirror lower trims painted in high gloss black, LED headlights in black including Porsche Dynamic Light Systems Plus, Porsche crest on headrests, storage compartment lid with model logo, extended interior package, seat hinge cover and switch bezel in leather.